The holidays bring families together to create memories that last a lifetime. 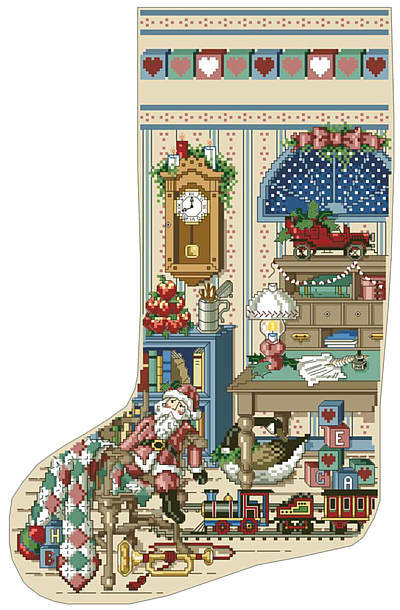 Celebrate those special moments with this stunning cross-stitch stocking designed by Sandy Orton. This sitting room is overflowing with sentimental charm, from the traditional clock on the wall to colorful choo choo train on the floor. This piece is sure to evoke memories of wonderful Christmases past. Use the alphabet to personalize the stocking and stitch even more love into the detailed design.